WDW Trivia! – More Cinderella Castle | It's "All in WDW"
Aww, see? You guys are too smart for me! 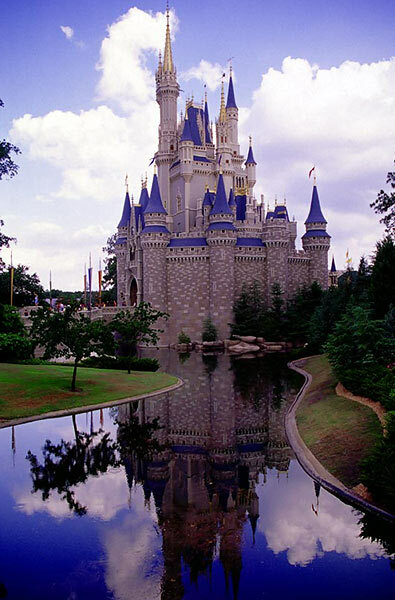 How many stones are there in Cinderella Castle in Magic Kingdom? None! The whole shell of the building is made, mainly, of fiberglass! In fact, the castle is actually made of concrete, steel, cement, plaster and fiberglass. 66% of you knew that already, though! Great work! Are you still feelin’ lucky, folks? Let’s give it another go! The moat surrounding the castle holds approximately _____ million gallons of water.